For my Broken Wings Series, at the time I was writing it I was getting bullied online and I wanted to write about a girl being bullied. But as I was writing, I wanted it to be different so my love for paranormal came into play. So I decided to incorporate falling angels, angels and witches. I love angels and witches so I wanted to do a different spin on them. For the main character Cordelia, I’ve always loved that name so that is why I chose that name. What do you do while having writer's block? I usually take a break, watch T.V. or maybe read. I try not to force writing when I have writer's block. 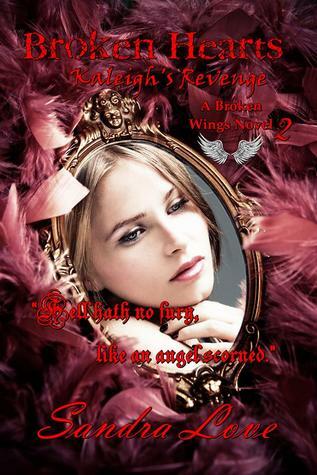 The Broken Wings Series is a YA Paranormal, To Love Again (Repaired Hearts) is a New Adult Romance. So I write YA, Paranormal, and New Adult Romance. I just have the 3 books out right now. But I am working on a new book. It is called Summer in Dallas. It is a YA Romance book. I am just a little into it but I do have a release date!! August 2nd 2014!!! I hang out with my family, or play with my cats, read, or even watch TV. I also love to walk. I am trying to walk 2 miles a day. J I also talk to my readers and fans. I love them so much. Heather Kirchhoff lives in a small town in Missouri. She became a bookworm back in sixth grade when her teacher suggested the Phantom Stallion series by Terri Farley and instantly fell in love. She loves reading paranormal stories, plus some love ones here and there. Writing is her passion-it helps her escape the world for a while, as well as reading-she doesn’t know what she’d do without it. She just loves it. When she isn’t writing, Heather is doing odd jobs, reading, taking walks, or spending time with her boyfriend and animals/family. Richelle Mead, Alyson Noel, and Stephenie Meyer inspired her to write. Connect with Heather on Facebook and Twitter. Girl Who Reads is an Amazon advertising affiliate; a small fee is earned when purchases are made at Amazon through the link above. The beliefs, opinions, and views expressed by guests are their own and do not necessarily reflect those of Girl Who Reads.